Recent police shootings across the nation have raised uncomfortable questions about how the police interact with minorities. Recent police shootings across the nation have raised uncomfortable questions about how officers interact with minorities. Policymakers and the public have questioned whether police shoot at minorities at a disproportionate rate, whether it’s possible to tell how often and what can be done about it. A Texas Tribune project, “Unholstered,” analyzed data from the state’s 36 largest cities and found that the numbers seem to support claims that police are more likely to shoot at people of color. But parsing those numbers can oversimplify police interactions with minorities. 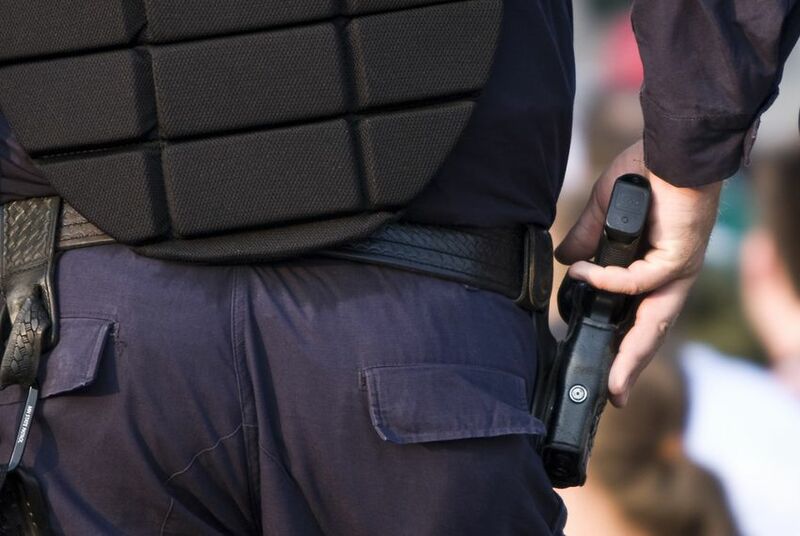 The Unholstered series also looks for answers to other questions surrounding police use of deadly force, such as on mental health calls, as well as situations when the individual is unarmed or when the officer is off duty. In Texas, Hispanic Republicans Grapple With Trump, by Patrick Svitek — Hispanic Republicans in Texas are grappling more than ever with the polarizing candidacy of GOP presidential nominee Donald Trump, whose hardline immigration views powered his campaign throughout the primaries. Analysis: Rick Perry Busts a Move on Molly Ivins’ Birthday, by Ross Ramsey — The symmetry was swell, with confirmation of Rick Perry’s appearance on "Dancing With the Stars" landing on what would have been the 72nd birthday of Molly Ivins, the state’s most famous connoisseur of political humor. Austin Poised to Become First "Sanctuary City" In Texas, by Jay Root — With the likely election of a new Democratic sheriff in November, Austin is poised to become the first true “sanctuary city” in GOP-ruled Texas if Travis County stops cooperating with federal immigration policies. Texas Lawmakers Learn Details of Ride-Hailing Laws in Several Other States, by Nicole Cobler — As Texas lawmakers consider filing legislation next year related to ride-hailing companies, they learned Tuesday that more than 30 states have passed laws calling for some level of regulation of companies like Uber and Lyft. Texas Attorney General Ken Paxton Sues Waller County Over Gun Ban, by Johnathan Silver — Texas Attorney General Ken Paxton is suing Waller County over its ban on guns at its courthouse. The suit, filed Monday afternoon in district court in Travis County, centers on a provision of Texas' new open carry law. Rick Perry Talks "Dancing With The Stars," Senate Speculation, by Abby Livingston — Former Texas Gov. Rick Perry said he is willing to give "Dancing with the Stars" a try in order to promote veterans’ awareness and to learn to dance ahead of his daughter’s fall nuptials. The House Urban Affairs Committee will talk about demographic trends and evaluate population growth, review the effects of gentrification on affordable housing and evaluate current Texas Department of Housing and Community Affairs preservation programs for rural rental housing during a morning hearing in Dallas. "And if we elect a president because you are so stubborn, arrogant, and stupid, that can't say 'radical Islam' and can't engage an enemy and identify it, that's your fault as well! And if you help elect the single most corrupt person to ever seek the presidency, somebody who lies like she did, somebody who sold out her office for gain like she has, somebody who has failed on Iran and ISIS and radical Islam in general, and Iraq and Iran and Syria and North Africa and Libya, I'm blaming you!" It's time to address exploding health care costs in Texas, by Rep. Dustin R. Burrows — If we do not deal with the runaway cost of health care, Texas is destined for a fiscal and health crisis.